Don't let the JET AMERICA spirit die! 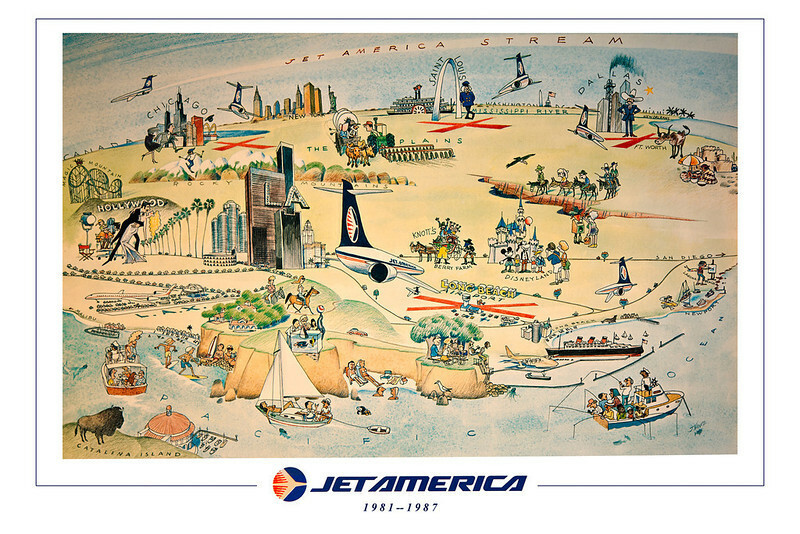 This beautiful poster commemorates our now gone, but never forgotten airline. No matte needed, you can easily frame this in a standard 16x24 inch frame. < $49.00. Price includes shipping, handeling and insurance. Don't let the JET AMERICA spirit die! This beautiful poster commemorates our now gone, but never forgotten airline. If you have the wall space, this is the BEST way to go! No matte needed, you can easily frame this in a standard size 24x36 "movie poster" frame size. $69.00. Price includes shipping, handeling and insurance.